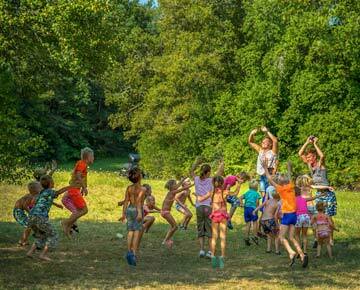 At the campsite, there will be activities for kids and adults. Under the belvedere located on top of the hill, you’ll be able to admire starry skies and from mid-August, nights of shooting stars. Once a season, there will be a night activity of observing bats, a protected species in the Natural Park, around the campsite. Hiking, running and mountaing biking are very popular with trails of different levels of difficulty leaving straight from the camping. The plateau d’Argentine and its famous prehistoric settlements, the paths around the St Estèphe pond, le Saut du Chalard, le Roc Branlant, le sentier des Meulières in St Crépin de Richemont and the voie verte (green way) of St Pardoux la Rivière will allow you to discover very diversified landscapes and extensive fauna and flora. Geocaching is a popular leisure in Dordogne. 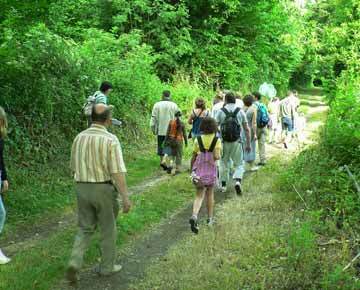 Fans of this activity will be able to discover many caches in our beautiful Périgord vert. A few kilometres away from the camping is the Dronne river where you’ll be able to canoe/kayak or paddle. Close to the Nouailles pond in Nontron are zipline courses for all levels. In Agonac, a vélo-rail (bike on rails) is located which welcomes families for a memorable ride on old train tracks. Those who prefer mini-golf will be able to play beside the St Estèphe pond and golfers will play on the 18 hole course of la Prèze. In the plateau d’Argentine, you’ll be able to experience a flight in a hot air balloon or ultralight plane. 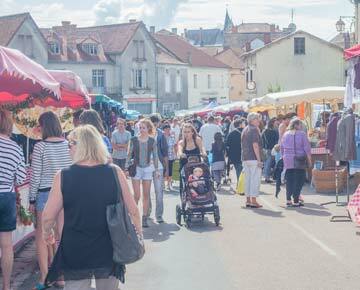 Discover local producers and artisans on the markets of Piégut-Pluviers (one of the largest of Dordogne), Brantôme, Nontron, Périgueux or Bourdeilles. If you have already visited Brantôme, Périgueux, Bourdeilles, St Jean de Côle and the Villars cave, you still have many beautiful places to discover around here. You’ll be able to visit the village of Aubeterre sur Dronne and its troglodytic church, the Varaignes castle and the weavers museum, the knife factory and the institute of art jobs in Nontron, the foie gras museum in Thiviers as well as Villebois-Lavalette and its imposing medieval castle. For the prehistory buffs, the world-famous Grottes de Lascaux as well as Sarlat, Les Eyzies and La Roque-Gageac to name a few, are yours to visit. A little bit further in our region are Cognac and its famous vineyards as well as the wine region of Bergerac, the charming village of Saint-Emilion, the beautiful city of Bordeaux and the Lacanau beaches. Oradour sur Glane is a museum village of the second world war and worth the visit for history buffs.